Today we’ll be exploring one of my favorite stations, sensory bins! Every week, our sensory bin is flooded with excited little LEAPers, wondering what it will be filled with and what it will feel like as they pour it, fill buckets with it, and squish it between their fingers. This post will be all about how to create a similar sensory experience at home and to hopefully encourage you to get creative! We try to stick to natural materials in our sensory bins, but the options are seemingly endless for what you can use at home. Many of you have commented on our large sensory bin, who we affectionately refer to as, “Big Red.” Though we are lucky enough to have such a large, professionally made sensory table, you don’t need one of these at home to have fun sensory experiences. Really any container can be used as a sensory bin, from large tupperware, mixing bowls, and trays to storage tubs. If you’re feeling especially motivated, there is no shortage of DIY options if you do a quick Google search for sensory bins as well. It doesn’t need to be complicated, we guarantee your child won’t be focused on the container. Once you’ve chosen your container, the next step is thinking about what to fill it with. We’ve tried all kinds of fun materials at LEAP: water, beans, sand, dirt, dry corn, pasta, pumpkin guts, colored rice, rocks, snow, mulch, the list goes on! We know sensory play can get messy, so choose something that works for you and where you plan to do your playing. It’s always fun to mix and match materials too--putting rocks in the dirt or mixing water beads in with snow are a few favorite combinations we’ve tried. Thinking about what you want your child to get out of it is a great way to choose--is there a theme or concept you want them to explore? If they’re learning about wet and dry, a bin with water and one with sand are great choices! In our Spring LEAP series, we’ll be exploring opposites each week and the materials in the sensory bin will reflect those themes just as our bins throughout this series have been related to different animal habitats. Curious minds and tiny fingers are wonderful tools for exploring sensory bins, but if you want to add a little something extra to your bins, there are plenty of options for that as well. We typically include tools for scooping, filling, pouring, and straining as well as loose parts (seashells, water beads, rocks, sticks, etc.) as these are things we’ve observed kids really enjoying during sensory play. You can include similar tools, but everyday objects and kitchen utensils will work great in almost any sensory bin. That is, of course, if you don’t mind your spatulas being covered in dirt! You have so much freedom with creating a sensory experience for you child to enjoy, so use your imagination. I’ve included some ideas here and mentioned some of the materials and tools we use at LEAP, but the sky is the limit! Pinterest has provided us with many of our great ideas, but don’t feel like you need to make it complicated to make it fun. Start with something simple, like a bin of flour and baby oil, or what we call, “cloud dough,” and watch the magic happen! Actually, don’t just watch, get it there and play with your child! After all, sensory play isn’t just for kids, and your child gains so much from playing side-by-side with you. If you’re reading this post and still feeling like a bin of flour or slimy spaghetti feels like a bit too much or a tad too messy, don’t fear! There are other, less messy options for sensory play to try as well. You haven’t seen them in use at LEAP yet, but a great alternative to sensory bins are sensory bags. Yep, they’re exactly what they sound like! 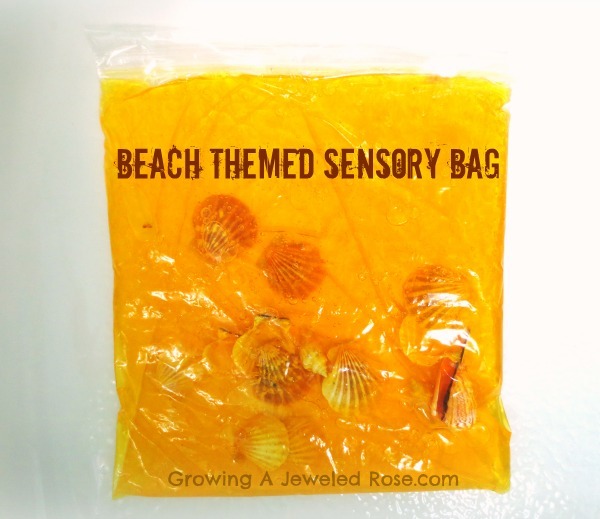 Sensory bags are just plastic bags filled with the same stuff you might put in a bin. 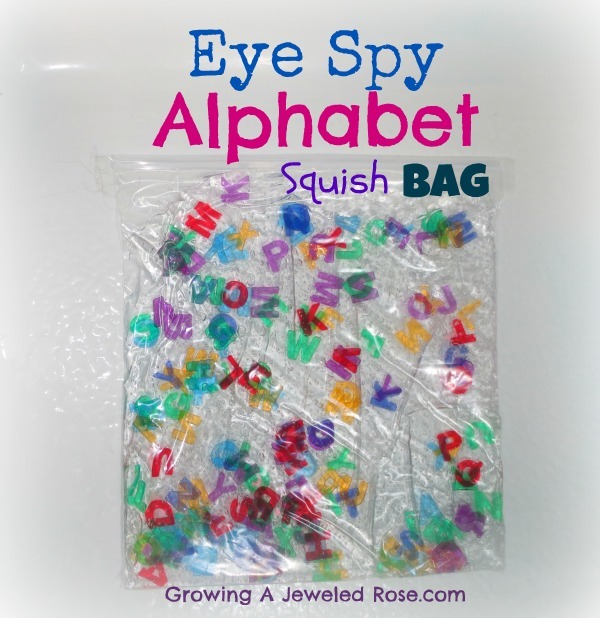 You can fill the bag, put some fun, loose parts in for texture and color, seal it, and tape it up so nothing spills out.